The phrase "atypical glands suspicious for but not diagnostic of cancer" is used when a focus of atypical glands does not have the full complement of cytologic and architectural features for an unequivocal diagnosis of malignancy. 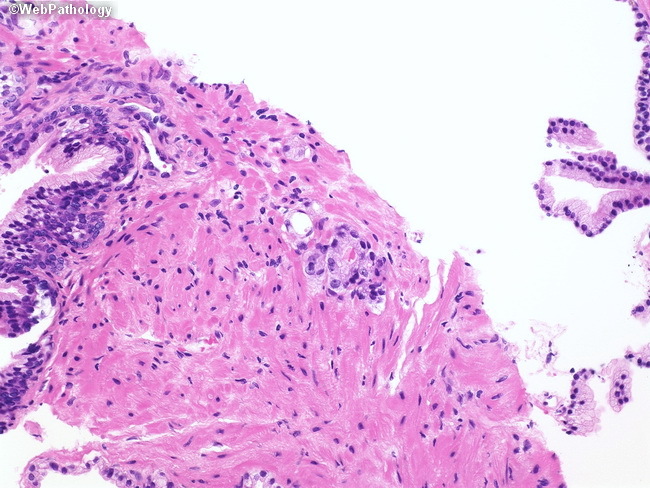 The image shows a small focus of 3-5 glands with enlarged nuclei and a few prominent nucleoli. The focus was lost on deeper levels and immunostains could not be performed.